We had great time at Stella Hotel & Apart. 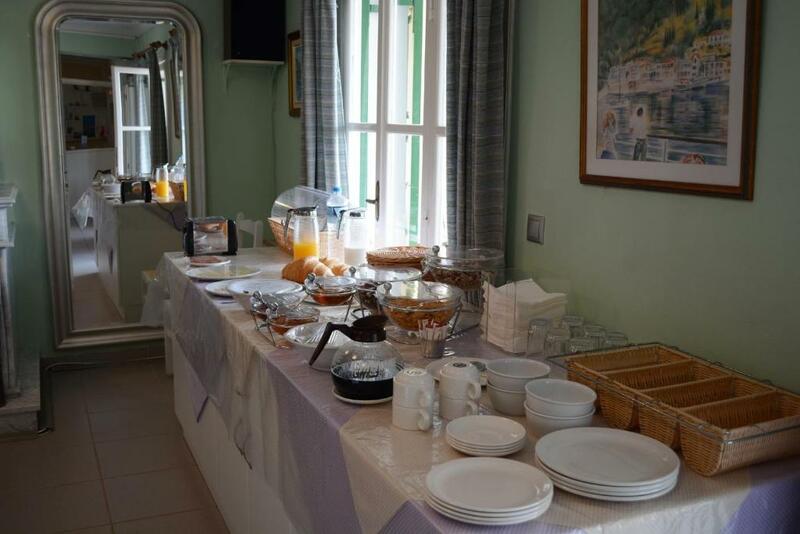 The room was fully equiped and with all confort. Antonis, the manager was great in helping us with all we needed and good indications around the hotel. What I appreciated a lot was his valiable help is sending us via DHL some belongings that we have forgotten in the room and were important for us. He was very responsive and did his best and beyond to help us. It was of great value for us! Thank you! We definitivelly recommend it. The standard of decoration, the facilities and overall spaciousness of the apartment plus sea views from balcony were all impressive, Bed firm and very comfortable. The view from our room was amazing. 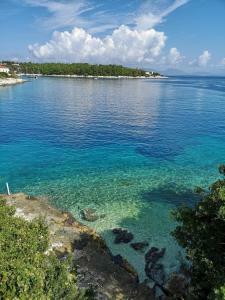 It was a sea view, looking towards the harbour town of Fiscardo and over to Ithaca in the east. We were able to watch the boats come and go, with a backdrop of sparkling sea. 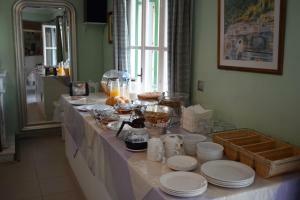 The room was comfortable, with a small (but fully-equipped) kitchen, shower room, and balcony. Antonis was very helpful and arranged the taxi from the airport. He went the extra mile. Clean spacious room with lovely view (although partially obscured), adequate self catering facilities, comfy beds and serviced daily. Easy walking distance to the harbour (approx. 15mins), complimentary bottle of wine as a welcome gesture, nice touch. Host Antonis was very accommodating, providing us with a lift to the beach when we requested a taxi. Peaceful location & sun terrace on 2nd floor. 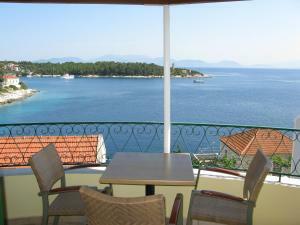 Spacious apartment located at Kaminakia Bay, friendly owners, fanastic views! 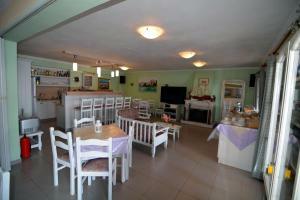 Walking distance to the port with lots of cafes, taverns, gift shops. Beach closeby, Foki is so clear and the tavern there has HUGE serves! Lots of tourists so quite busy and taverns fill up quickly in the evenings. This was such an awesome find, a really solid place for a 3 star hotel. The staff waited up to let us in without any problems even though we arrived really late from the airport around midnight. The room is spacious and clean and had all the facilities you would need during your stay. It's a 5-10 mins walk depending on your leisurely pace around the water to reach the port where all the shops/ restaurants / bars are. For the price, it's a fantastically comfortable stay and we would definitely stay here again when we come back to friscardo. In fact, we fell in love with friscardo so much we forgot we were only here for 2 nights and the staff had to remind us we were checking out on the day, an hour late! That's never happened to us before, we just got lost in this idically little colourful but vibrant and lively town! Very pleasant, clean and comfortable place to stay. Great view from balcony and rooftop sunbathing area. The Host was very charming and interesting, and his maintenance of the Gardens superb. The location is the finest for travellers utilising the airport. Lock in a great price for Stella Hotel Apartments – rated 8.8 by recent guests! Stella Hotel Apartments This rating is a reflection of how the property compares to the industry standard when it comes to price, facilities and services available. It's based on a self-evaluation by the property. Use this rating to help choose your stay! 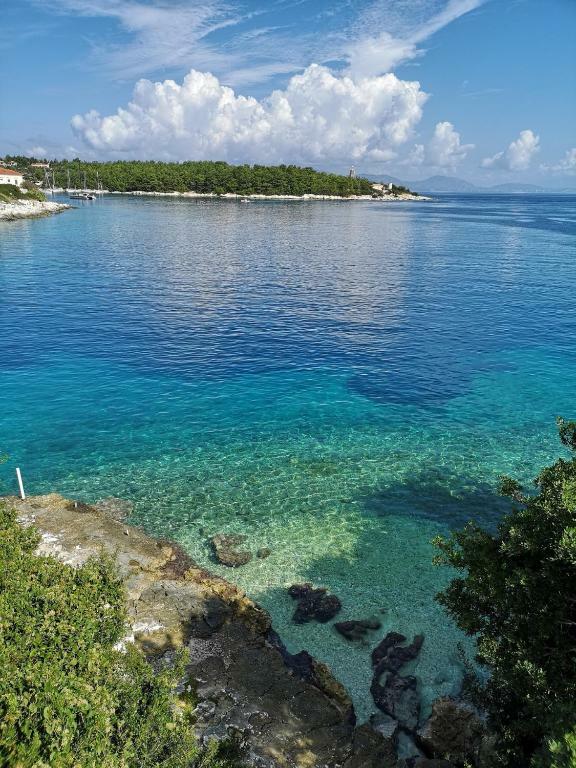 One of our top picks in Fiskardo.Just a 5-minute walk from the beach, Stella Hotel Apartments offers air-conditioned studios and apartments with a private balcony. Guests can benefit from free parking and read books from the small library. The studios and apartments of Stella offer free WiFi and a well-equipped kitchenette with a midsize fridge, mini oven and cooking hobs. A satellite TV and electronic safe for laptops are also available. Guests can relax in the communal lounge or watch TV. The on-site bar serves refreshing drinks, which can also be enjoyed at the balcony with the view of the surroundings. 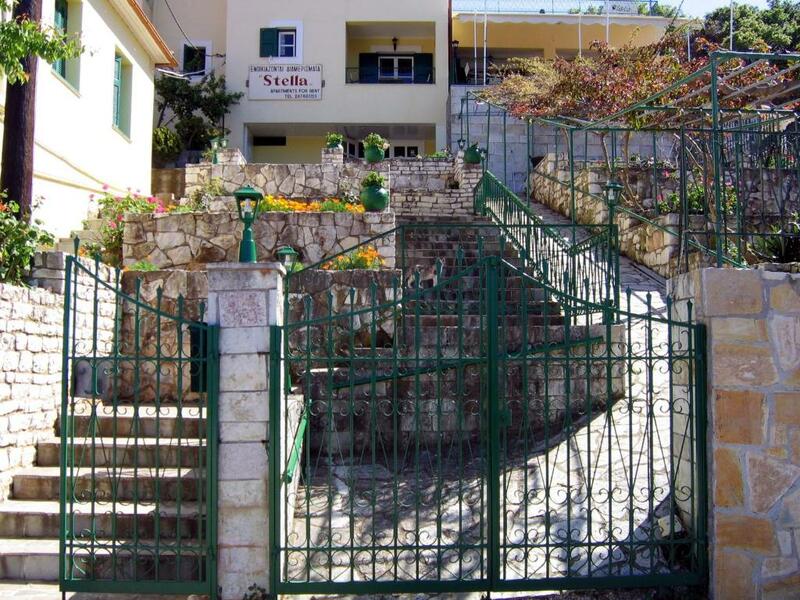 Stella Hotel Apartments is located a 10-minute walk from Fiskardo village with its many restaurants and cafes. When would you like to stay at Stella Hotel Apartments? Opening to a balcony with sea views, this studio features a fully equipped kitchenette, satellite TV, safe, free WiFi and a private bathroom with free toiletries. A mini-bar is also available upon charge. 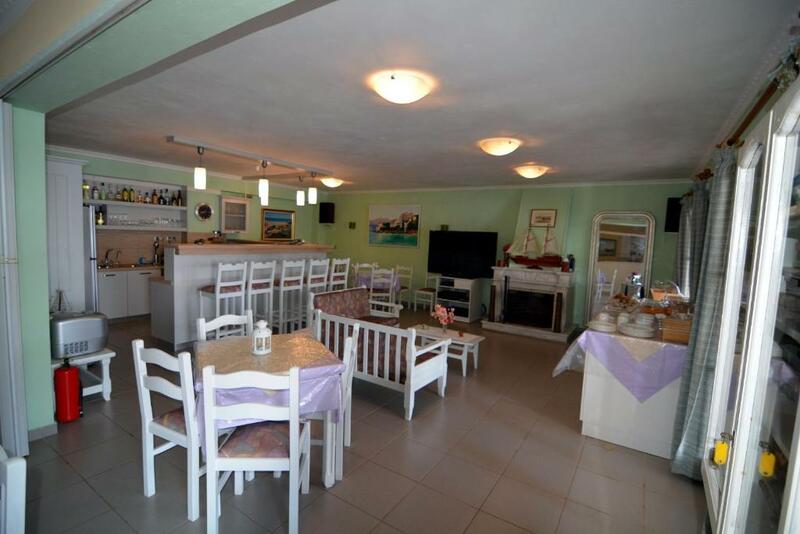 This apartment consists of 2 separate bedrooms, each with an private bathroom, a spacious living room with a double sofa bed, a fully equipped kitchenette and a large sea-view balcony. It also has free WiFi and a safe, while a mini-bar is available upon charge. Opening to a large, sea-view balcony, this spacious, air-conditioned studio comes with a fully equipped kitchenette, mini-bar, satellite TV, free WiFi and a safety box. A mini-bar is also available upon charge. Opening to a balcony with partial sea views, this air-conditioned studio includes a fully equipped kitchenette, a satellite TV, free WiFi and a bathroom with free toiletries. A mini-bar is also available upon charge. The hotel is located in grandfathers' land! It is a family business and we try to make customers feel like home! I studied computers but the hotel management is what I do the last 24 years! My hobby is photography and my dream is to travel around the world and capture with my camera different landscapes and people! 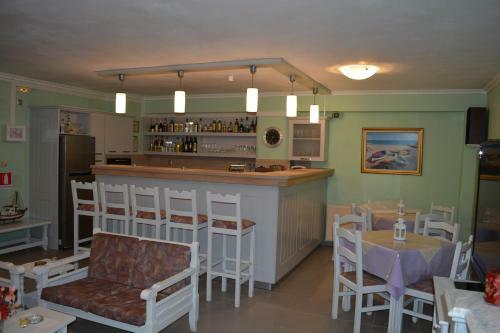 We are located 800 meters from Fiscardo port & 400 meters from Foki beach. House Rules Stella Hotel Apartments takes special requests – add in the next step! Stella Hotel Apartments accepts these cards and reserves the right to temporarily hold an amount prior to arrival. The shower was a bit small. Don't drop the soap! View slightly obscured from rooftop in front of our room (1st floor), higher floor would of been better. Our bathroom door did not shut properly!! Great location. Walking distance of town (5 minutes) to get croissants, etc, for breakfast and for dinner at night (recommend Elli's restaurant). Also beautiful beach (rated No 5) the other way (8 minutes walk). Amazing outlook over channel into harbour. Bathroom could do with updating. Everything else. Ultra clean. Fabulous views from balcony. Excellent value for money. Great location. Nice people. Mini bar prices were very reasonable. Drain on balcony smelt but cleared after applying bleach. Lovely view. Quiet spot. Easy to walk into Fiscardo. 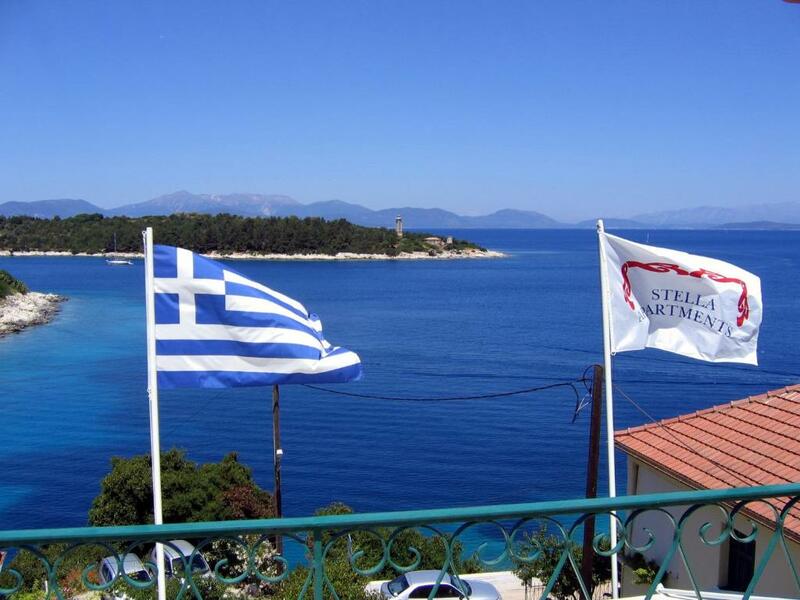 After a week on a sailing boat using local taverna showers and over 50 years travelling to Greece, we loved Stella but any visitor must appreciate that outside Athens accommodation is often tired and the standards of Western European hotels cannot be used. Amazing location with beautiful sea views from good sized patios with the studio apartments. We were on the 1st floor and did have some roofs in the way but still felt we had a great sea view beyond. Kitchen facilities we did not use were a bonus as was the spare bed. Fantastic sea views from our room. The location is about a 10 minute walk to the centre of Fiscardo, and is very quiet. Antonio was a very helpful and obliging host. Nothing was too much trouble for him. The rooms were clean and serviced regularly. The room has a fridge with water, beers, wine and soft drinks which were all reasonably priced, not over the top like most hotels. Antonio also offered us a small bottle of white wine as a welcome drink, which we thought was a nice touch. Overall a great experience. By the way, did I mention the fantastic views. Dark room 106. The toilet is old, smells bad and dark. There was a little kitchen good equipment, dark. Phone comunicatin is difficult. I told them wst time arrieves, then I've been waitin for 20 min on reception until the assistant comes, then the owner arrives and just told me check in was in 35 min before saying hello.